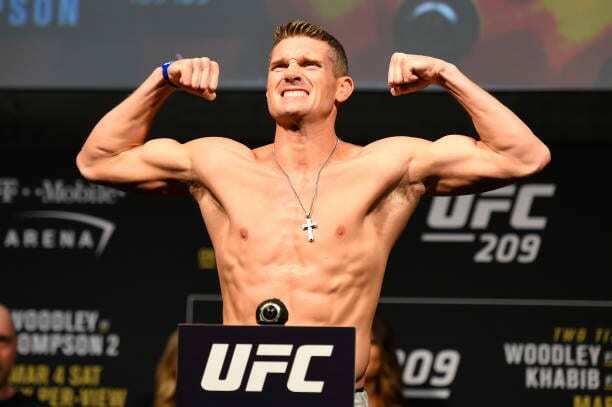 Stephen Thompson unsuccessfully challenged for the UFC welterweight championship twice during Tyron Woodley’s reign. “Having a new champion, I knew it was going to be better for my career,” Thompson said. “Nobody wants to see Thompson vs. Woodley 3, and I kind of understood that. I would have to have two or three more fights before I even get that shot again. This, now that we’ve got a new champion, is going to be a faster way up. Usman dethroned Woodley via lopsided unanimous decision in the co-main event of UFC 235 earlier this month. Now, he’s expected to make his first title defense against Colby Covington next. As for Thompson, he’ll have to string together a few impressive performances before getting another title opportunity. He’ll main event UFC Nashville this weekend (Sat. March 23, 2019) against ex-lightweight champion Anthony “Showtime” Pettis. Pettis will be able to match Thompson’s dynamic striking ability, making this a fun match-up for the Tennessee crowd.